The Yggdrasil, the holy tree of Norse mythology, is central to Hilma af Klint’s series of paintings from 1913/15: Tree of Knowledge. As with the Biblical Tree of Knowledge from Eden that is echoed in Christ’s cross, the Yggdrasil allows for the salvation of humanity in Norse mythology. During the nineteenth century, the Nordic National Romantic movement turned the Norse myth towards a politics of nationalism and nationhood. Taking as her point of departure these aestheticised nationalisms, af Klint’s abstraction redirects Nordic romanticism towards an alternative political aesthetic. Locating an intertwining of genders at the heart of the Yggdrasil tradition, her androgynous abstraction subverts the nationalist and patriarchal romanticism of the nineteenth century Yggdrasil. 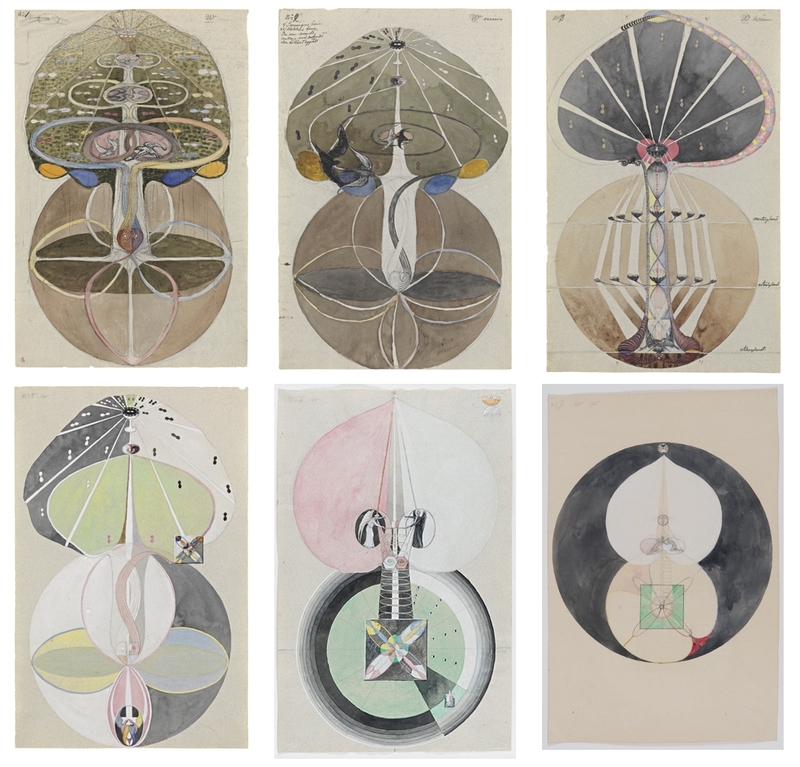 Central to af Klint’s aesthetic subversion is the troubled history of theosophy’s engagement with Nordic myth. The Yggdrasil was revived in Helena Blavatsky's theosophy, and Rudolf Steiner constructed a theory of Aryanism in his readings of Nordic myth. Although af Klint was a keen student of theosophic eclecticism, using the discipline as a model for her stylistic hybrid combinations of esoteric, scientific, mythical, and modern motifs, her turn to the Yggdrasil should be read as constituting a distinct break from theosophic Nordism. I am a PhD student in Art History and Visual Studies, at the University of Manchester.